Hey, dog lovers! I have great news. 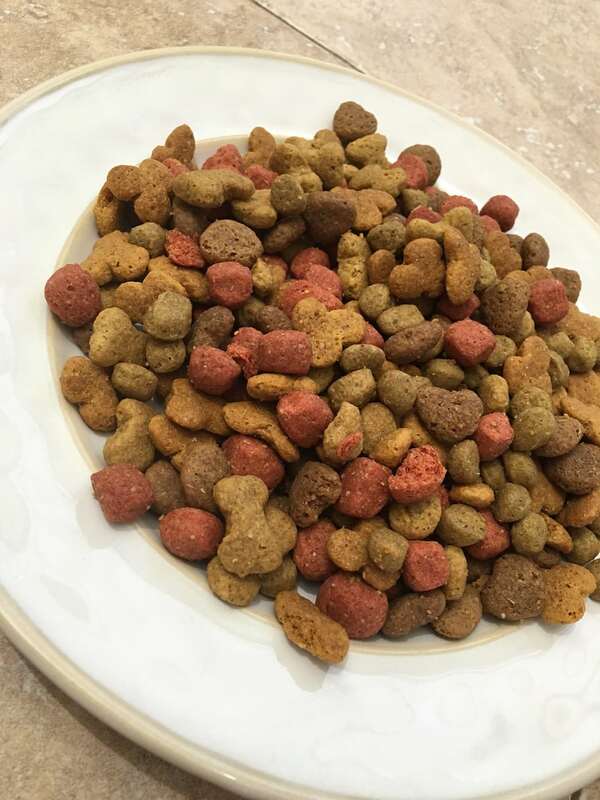 Beneful’s new dry dog food recipe has arrived and I have a free sample link to share with you so your furry baby can test it out first hand. Love that! The Beneful team has been working to evolve its dry food recipes for the past two years, changing things up to use more ingredients dog owners are familiar with and want in their dogs’ food. After all, we want to feed our dogs things that we feel comfortable feeding ourselves, right? We are looking for high-quality products… and REAL MEAT as the first ingredient. I know that many dog owners I am friends with have this as a top priority for them on their list. So happy to hear about Beneful’s latest edition because my Jack is such a huge fan. The new recipe has taken away some ingredients as well. You will be so pleased to hear that there is no added sugar in any of the new Beneful dry food recipes. SO IMPORTANT!!! The new foods are rolling out onto store shelves as you read this, and will be fully available nationwide come August. Are you looking for a free sample of the new product online? Why not? 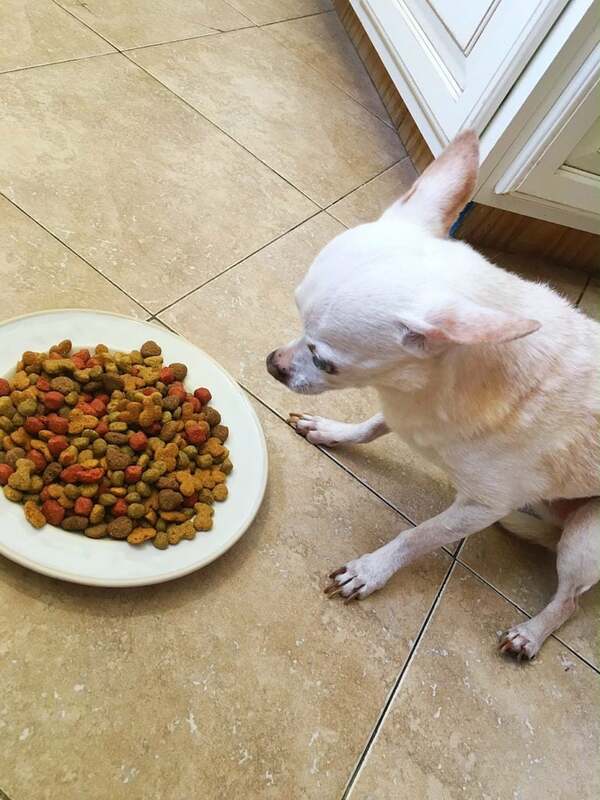 Let your dog try out all that yummy goodness for free and see first hand how great they feel after chowing down on some Beneful Originals With Beef Recipe. 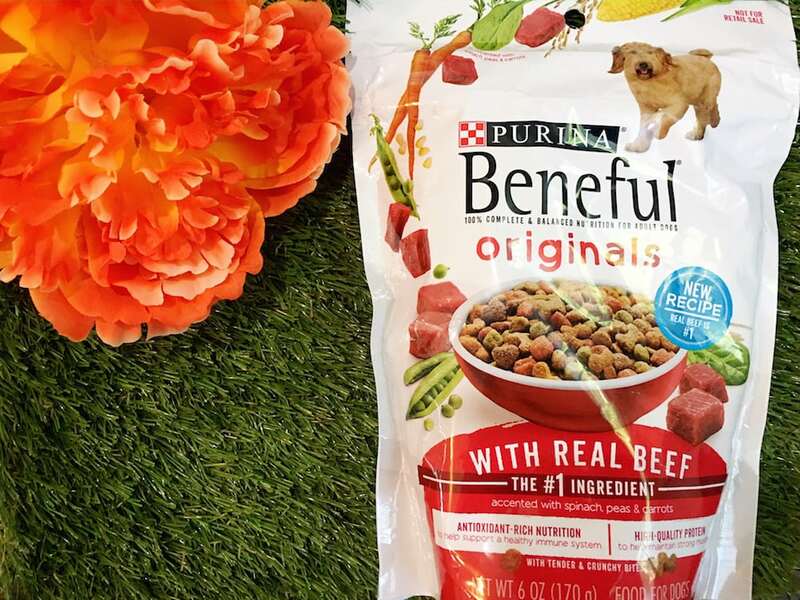 Click here to enjoy a free sample of Beneful Originals with Beef recipe and then share your experience with a rating on Beneful.com! Reminder: Dogs can be sensitive to change. Please keep this in mind when making your food adjustments. Even though you currently feed your dog Beneful, you’ll want to transition to the new Beneful recipe as you would for a new type of food. Check out these helpful feeding tips and tricks for how to make the transition smoothly. I love seeing pet food companies recognize that they need to focus on good nutrition for animals too. I need to switch my dogs to something else.